Want to downgrade iOS 11.4 Beta back to iOS 11.3 or iOS 11.2.6? Here’s how you can do that right now. Released earlier this week, iOS 11.4 Beta brings a couple of new features to the table and the most noticeable ones are Messages in iCloud and AirPlay 2. Obviously, since this is all happening under a beta umbrella therefore you can’t expect things to run very smooth at all. 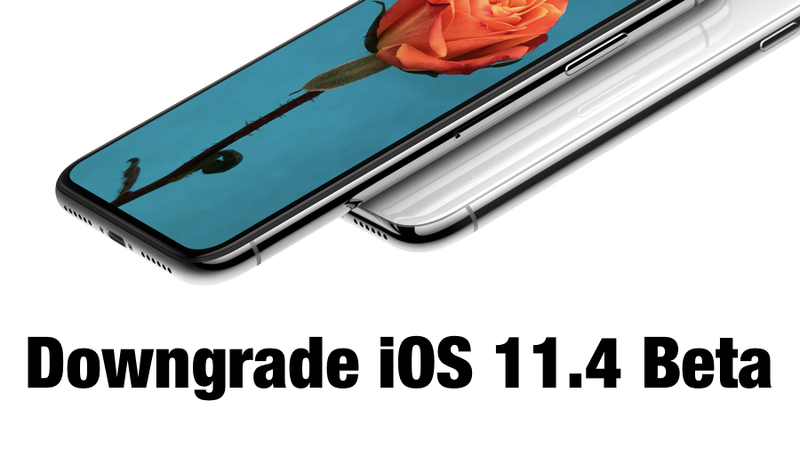 Therefore if you have made the decision that you want things back to normal, then you are definitely looking into the prospect of downgrading iOS 11.4 to the current public release that is being signed by Apple – iOS 11.3 and iOS 11.2.6. Keep one thing in mind though, since iOS 11.3 is the latest public release, therefore it’s a matter of time Apple will stop signing iOS 11.2.6, so it’s a good idea to stick with iOS 11.3. That’s just a recommendation, it’s entirely your call which firmware you wish to downgrade to. Note: The downgrade process will erase your device completely which means that you will lose your apps, files, settings, photos, videos etc. Therefore take an iTunes or iCloud backup of everything before proceeding forward. Update: Apple is no longer signing iOS 11.2.6 so you cannot downgrade to that firmware version. 1. Download iOS 11.3 or iOS 11.2.6 IPSW firmware file and save it on your desktop. 2. Connect your iPhone or iPad to your PC or Mac using a Lightning cable. 4. Select your device from the top left hand corner by clicking on the icon that looks like a tiny iPhone. 5. Now click on the Restore iPhone button by holding down the left Shift key (Mac) or the left Option key (Mac). 6. Select the firmware file you downloaded in step 1. 7. iTunes will now extract the contents of the firmware, restore your device, verify everything with Apple and add the final touches. Once done, you will be greeted by the iOS welcome screen, and from there you can either restore a previous backup or start fresh if you like.